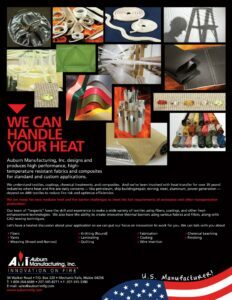 AMI is a custom solutions provider. 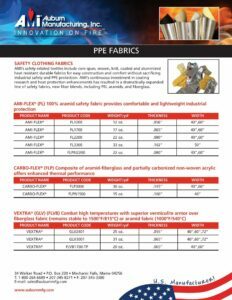 We manufacture a wide range of high-performance, high temperature fabrics designed for high heat conditions to protect people, processes and equipment from the harmful effects of heat, molten splash and other heat related risks. 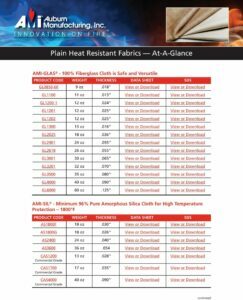 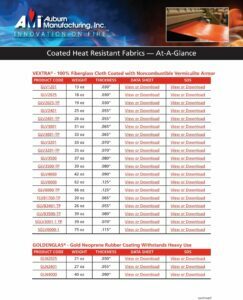 Advanced weaving technologies, along with expertise in fibers, yarns, weaves and specialty coatings has made us the ‘go to’ extreme temperature textile provider for high heat applications in nearly every industry. 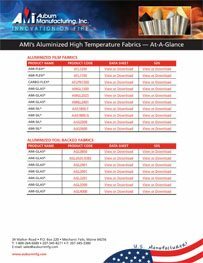 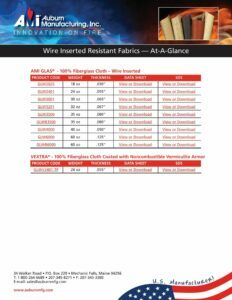 View and compare all of AMI’s Aluminized Fabrics At-A-Glance along with easy links to specific product pages, data sheets and SDS information. 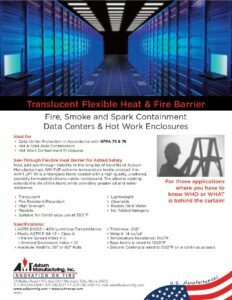 See-through flexible heat barrier for data center protection, hot & cold aisle containment and hot work containment enclosures.